t’s my first attempt at a quiz type of post on this blog. 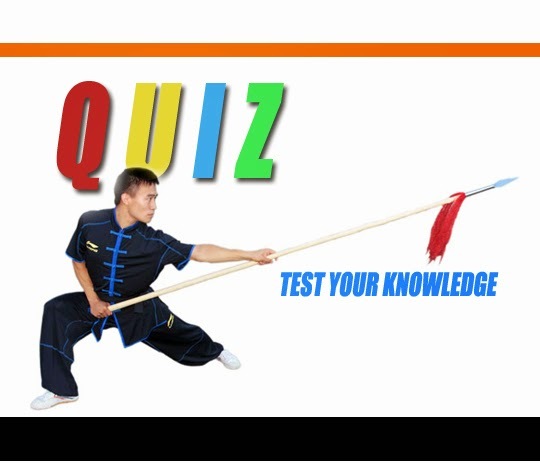 Just for fun, I thought that I would put together twenty questions about various types of martial arts with spaces for the letters, almost like a word puzzle. See how you do. I’ll respond with the appropriate answers in the next post. 1. A Brazilian martial art known for its evasive movements either while standing or on the ground. 2. A martial art from Myanmar (Burma). 3. An ancient Greek martial art still practised today. 4. Several systems of Chinese martial arts named after an insect. 5. Japanese grappling art derived from Jiu Jitsu. 6. French martial art that uses a cane for combat. 7. Russian martial art developed by the Soviet army in the 1920s. 8. Canadian martial art developed by Bill Underwood taught mainly as a type of self defense. 11. French martial art named after a word for “old boot”. 12. French martial art named after a word for “old boot”. 14. A branch of Mi Zong, an old Chinese system known for its elusiveness. 15. A martial art from Thailand known for its use of weapons. 16. Japanese art of archery. 17. Korean martial art derived from Jiu Jitsu. 19. A martial art developed in Hawaii. 20. A system of martial arts which along with Kali and Escrima is renowned for its stick and blade work.